A few years back, if somebody told you that you could wear your bank on your wrist, you probably would have laughed it off as a joke. However, today, you wouldn’t do the same. Every minute, every second, technology is making banking effortless. Customers have a plethora of options to choose from when it comes to how they want to bank. And now, they have the option of banking with a slight touch of the wrist, thanks to Smartwatch Banking. The most obvious conveniences of Smartwatch Banking include the fact that customers can check their balance, get fraud alerts, carry out both financial and informational transactions, all on their wrist. Other more specific advantages that Smartwatch Banking can offer are location based offers, updates on spending limits, updates on customers’ individual financial health (based on their data and tracking of their spending), payment due notices, financial management and investment information and advice for wealth customers, etc. Westpac New Zealand was one of the first banks to create an app that allowed customers to check their balance on a Sony smartwatch. Since then, many other international banks including Lloyds Bank, Citigroup, Commonwealth Bank, etc. have all launched smartwatch banking app. More and more banks are hopping onto the bandwagon. 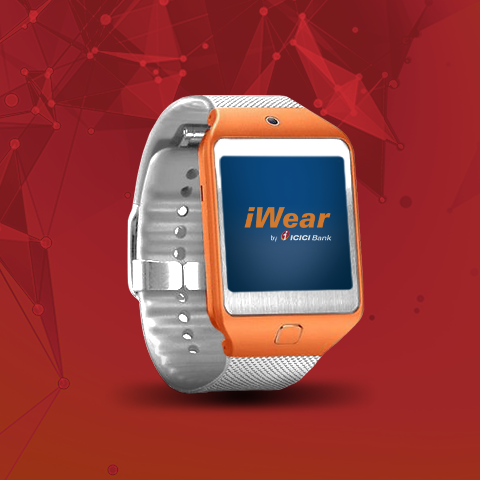 In India, ICICI Bank is the first bank to have recently launched an app for all smart watches – iWear by ICICI Bank. 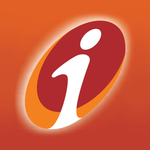 This next generation app offers transactional and informational services for simplified banking and lets you stay connected with your ICICI Bank account at all times. ICICI Bank is among the few players globally that allow transactions using this application on both Apple and Android platforms. While on Android, users can do recharge any prepaid mobile, view last three transactions and check account and credit card balance, there are additional services of bill payments, GPS locator for nearest ICICI Bank branch and ATM and for Apple Watch users, who can also avail exciting offers directly from their Apple Watch. The application automatically gets installed on both mobile and the paired smart watch. iWear by ICICI Bank is available on Google Play Store for Android Wear, App Store for Apple Watch and Samsung Gear Manager for Samsung Gear. While there are many advantages that Smartwatch Banking offers, there can be a few challenges too that financial intuitions might need to deal with. The main challenge to wearable banking is that there is still not a widespread consumer adoption of such devices. When wearable devices do gain popularity though, banks would need to carve out time and resources to support this ever expanding list of devices including wearable devices like smartwatches. They also need to research, experiment and figure out how the new technology can really benefit their customers. In the long run though, the future for the integration between banking and wearable devices clearly looks spectacular. Juniper Research has estimated that 100 million wearable devices will be shipped by 2017, and that wearable banking and payments via smart watches and smart glasses will be a key trend over the next one to two years. Not just the smartwatch, but other wearables like Google Glass and fitness trackers are bound to become the newest banking channels. Technology is surely redefining Banking.